Use the form below to register for our free course, running from 15th January until 19th February. No, the course is free. You can come along to rehearsals for six nights and see if you like what we do. Will I be any good? Frankly we don’t know yet! You need to come along and find out! If you LIKE to sing and can hold a tune reasonably well – then you probably WILL be good at this, especially after we have given you a little tuition. Do I have to read music? You do NOT need to read music, but if you do then you will learn what we do quicker perhaps. We don’t expect you to walk in and sing close harmony straight away. If you have not done it before you will need to understand how it is constructed and what part you will be best suited to sing. We will help you with all that. How will I learn the songs? We issue everybody with sheet music and learning CDs to help you learn the songs. It takes a little while but you will be surprised how quickly you are up there singing with your fellow Chorus members. Over the following weeks we will gradually teach you some of the techniques used in close harmony singing so that you very soon begin to use those techniques automatically in your singing. 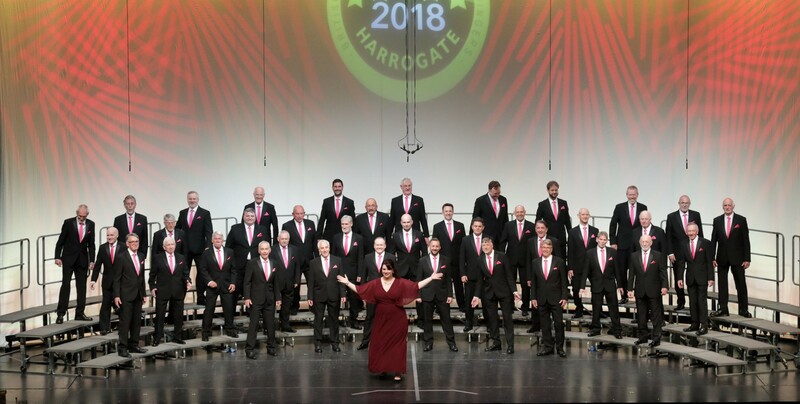 After a few Chorus rehearsals and a little practice at home, you will be able to enjoy being part of a close harmony Chorus. Get in touch with us using this contact form. We'll register a place for you and answer any questions you have.